The debut release by this Louisville, KY, musician is cut from a very similar grain as the recent works by Jon DeRosa and Nathan Amundson, though with the added twist of a very clever sense of humor. Barnes doesn't take himself too seriously on these songs even though they are of the most intimate sort, recorded over a year in his bedroom like some indie-folk Moby. He does wear his influences a bit too proudly on his sleeve, though, even covering "Anyway..." by Rivulets and thanking the obvious objects of comparison in the liner notes. I'll forgive that any day, though, when the work is this full of promise and yet brilliantly quirky all in the same moment. Barnes plays all the instruments on Acrobat, which basically amounts to guitar and minimal percussion, but the simplicity of this music and his vocal presence make it seem like so much more. The title track is sickeningly sweet but with a morbid edge, as the narrator falls for a girl like an acrobat who plummets from the wire. Barnes sings about her picking up his limbs and putting them back in their sockets before the vultures come and it's still the sweetest song about love I've heard this year. The songs run the gamut of emotions and situations, from swerving into oncoming traffic on "Games We Play on Road Trips" to unrequited love that turns to murder on "wait For Her" (incidentally, any folk song that actually uses the word "shiv" soars to the top of my list instantly). Barnes is not necessarily an innovator, but his debut album is accomplished nonetheless; not too shabby for a 21-year-old college dropout. The Fallen Acrobat is a beautiful album of bedroom folk songs, closer in style and spirit to Christian Kiefer than any artist on Silber's regular roaster. A very strong debut, it features Jamie Barnes multitracking vocals, acoustic guitar, toy piano, glockenspiel, flute, and field recordings in his bedroom. The instrumentation is charmingly naive, his lyrics generally meaningful and touching, and his melodies very catchy. Failed relationships provide the main topic for Barnes' lyrics, but he also touches more socially conscious subjects "Peaceful Protest," "Ambition is Poisonous" and dreamier ruminations "A Ceiling Lit with Stars." "Burning Leaves" stands out as the strongest song, beautifully arranged, moving, and filled with bits of surprising wisdom for a kid of that age. Other highlights include "Wait for Her" (a typical love triangle, but the harsher words are sung on such a delicate tone), a rendition of Rivulets' "Anyway..." (the closest to a pop song Barnes get on this set), and "Unhappy," where the singer admits "I don¹t know much about dating / or interior decorating," which might explain the main topic of the album after all. Barnes' voice is warm, understated but precise, soft-spoken, simply perfect for this particular kind of intimate folk songs. The Fallen Acrobat compensates for one hundred lousy bedroom albums you may have heard. And to think that it is only Barnes¹ first record fills the heart with hope. If Bastoni is innocent, Jamie Barnes is child-like. This 21-year-old recorded his debut, The Fallen Acrobat, in his Kentucky bedroom. This is angelic pop whose sweetness is embodied by the occasional use of a toy piano. The risk of becoming pretentious is always present but Barnes avoids it. The album sounds like he sneaked into your childhood and put to music the fanciful thoughts you never put into words. And Edward Gorey would've admired the twist that Barnes slips into the blissfully idyllic 'Wait For Her.'" I am not often interested in reviewing any singer-songwriter if not showing some kind of intimacy. Jamie recorded his songs in his bedroom, over a year span of collecting them. Still arranged and well recorded it has the advantage of studio work as well as the well protected conception of the well protected inspiration room. Some of these arrangements on its own are even pretty nice to discover, like the pretty handpercussion on “Anyway..”. These arrangements fits just perfect with all song expressions. This is pretty, laid-back songwriting, with little thoughts/meditations of life to think over before going to sleep. Some touches of tumbpiano gives the music some less specified aspect of a lullaby. A nice debut ! Jamie Barnes recorded The Fallen Acrobat in his bedroom over the course of a year. Like all good bedroom music, it's sparsely lush, pretty and personal; Barnes played all the instruments, and his arrangements of acoustic guitar, hand drums, xylophone and various found sounds are well suited to his hushed, sweet vocals. Like really good bedroom music, The Fallen Acrobat hides a flair for storytelling and a sly, rather twisted sense of humor beneath its mild-mannered exterior. On the title track, for example, Barnes compares falling in love to tumbling from a high wire. After he's splattered himself all over the ground, the object of his affections will "Pick my limbs up / And put them in their sockets / Gather all the change up / That emptied from my pockets" before the vultures arrive to do what vultures do best. The "twisted love" theme shows up in various incarnations throughout the record; it's interesting to hear sentiments like "I don't want to be here / I'm bored to tears with this relationship" or "You want to drive a shiv through his head" expressed in the folkish way usually reserved for the kinder, gentler feelings. Not all the tracks fall into the relationship-song category. "Games We Play on Roadtrips" is a distinctive treatment of the joys of car travel, comparing traffic noises to music ("It's like jazz out on the highway... it's like folk out in the country"); "Peaceful Protest" questions the divinity of religious symbols, asking "Do the pearly gates ever swing outward instead?" Aside from "Anyway...", a hand-drum-driven Rivulets cover, most everything on The Fallen Acrobat has a similar slow, dreamy feeling. However, the songs are written and instrumented diversely enough to avoid sameyness. Barnes's guitar playing is excellent, and his plinky keyboard and flute lines show a well-developed ear for melody. It's obvious that some thought went into the production of this debut; it sounds better than many studio-recorded records I've heard. Barnes is only 21 years old -- look for even better things from him in the future. It’s when 21 year old Jamie Barnes from Louisville, KY sings “it seems like everything we were told as kids makes more sense with age” that he finally wins me over. It’s one of the highlights from his brand new The Fallen Acrobat for the always impressive Silber imprint. But not that the rest is left far behind. What we get is folk-pop made for bedrooms, and if I’m not fooled by the great sense of intimacy, it was probably made in one as well. The press kit states that these are songs that won’t change the world, but perhaps make someone happier to be alive than they woke up feeling. That’s exactly how I feel about the charming, bouncy pop version of Rivulets’ “Anyways” that despite its melancholic vocal, it brings a smile to my face. Rivulets is actually a one man orchestra that comes to mind while listening to The Fallen Acrobat. But Barnes seems like a happier guy than Nathan Amundson has ever been. In a similar fashion as Secret Stars (old time cover stars of this here mag), Barnes has the ability to be subtle yet powerful in his earnest descriptions of the world. With this release, Silber has slightly shifted gears presenting what is probably the most structured and accessible release in their catalog yet. But the quality mark remains constant and that is what we care about. 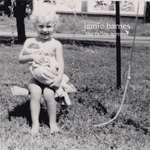 Jamie Barnes debut album is very understated when compared to everything else that is on the Silber media label. Not to say that it is a bad album at all, just very different. Very melodious song structures and a made at home feel to it. It’s imbued with really emotional lyrics. This reminds me very much of a band called 301 that I received with much the same trepidation as I did this one. I didn't expect to like this album upon first seeing the album cover and even less when I read the track listings, but this album totally won me over. It's a very great bit of story writing. Track 4, "For Centuries" is gorgeous, as is track number 9, "Unhappy." I now have dreams of happy little marching snowmen from the back cover creeping into my existence. I met Jamie Barnes at a local bookstore where he works in the music department. I was buying a couple of CDs and we started talking about my music interests. He suggested I might enjoy his work, which apparently does well in Europe, Japan and Sweden but is virtually unknown in his hometown. I got a copy of his disc The Fallen Acrobat and then asked him for a copy of the lyrics. He recorded this in his home in Pewee Valley. The songs are all original with Barnes writing and composing all but "Anyway." He performs guitar, percussion and every other bit on the album. His music for Fallen Acrobat could stand on its own with Jamie's special twists. His music matches his voice to perfection. His lyrics beg thought and often shake emotions. His poetry could stand alone. "Wait for Her" is a masterpiece in spite of the very disturbing finish - but then humans and life are often less than desired. Jamie asks in "Peaceful Protest," "Do they ever get sad in Heaven?/Do tears really make up the sea?/Do martyrs die for lost causes?" Tough questions that need to be asked, especially in these times. "Ambition is Poisonous" challenges the paradox of the American lifestyle stating, "Everyone's always trying to kill off the dandelions/And everyone is scared to death of dying." When I first heard "For Centuries" I thought it was Simon and Garfunkel-that's a compliment. Jamie is, however, even more talented. I am now a Jamie Barnes fan. His music entertains me, while his words challenge and disturb me. At first, the lyrics bothered me too much. In the 1960s I loved the music and the words challenged and disturbed me; so I guess personal history repeats itself and the phrase from "Burning Leaves"-"Faces froze, we decompose like burning leaves"-best describes how the majority of the world faces the issues. My enthusiasm for this man's work is only limited by the 300 words I am allowed. One criticism, however: the lyrics must be published with the CD. His musical talent is superb. I really hope someone in Louisville besides me takes the time to notice the work and bring Barnes to the stage. He should be making music instead of selling music." Jamie Barnes' indie pop debut has a fragile strength that deftly weaves sparking acoustic compositions with waves of wondrous experimentation. Recorded in his bedroom over one year, The Fallen Acrobat collects campfire melodies and symphonic pop - only these symphonies are comprised of toy instruments, hand claps, glockenspiel, piano, and keyboard sounds convincingly portraying strings and harpsichord. Whimsical numbers like "Wait For Her" blend church bells and a waltz beat that manages to be indulgent without sounding pretentious, while the quietly cascading piano and guitar of "A Ceiling Lit With Stars" and banjo refrain of "For Centuries" are dreamy and hypnotic. La navidad del 2003 fue acompañada dulcemente por este disco a cargo de Jamie Barnes, quien se adjudica prácticamente toda la sensibilidad, autoría (a excepción de "Anyway ...") y belleza de esta obra. Un excelente disco. "Wait For Her" más calmada, hablando de la espera del ser querido. Se va creciendo con más guitarras, las cajas de música, los aplausos, haciendo de este todo un arrullo. Donde notamos que no se requiere todo el tiempo de la batería para generar música (al menos, no en este tipo de música). Una de las joyas del disco, "Games We Play..." realmente te transporta en momentos a aquellos viajes largos en automóvil con toda la familia, tomé el papel de niño en esta ocasión. El piano y las campanitas le dan un toque especial de nostalgia. Un track simple, bellamente simple. Mi preferida del disco, sin embargo, es "For Centuries", desde el suspriro inicial "I don't want to be here, I'm bored to tears with this questionnaire; I would rather be on my back watching the stars attack the planets..." mientras dejas entrar las notas de un banjo que llega profundo. Totalmente americana en su letra, este fue mi regalo de navidad en el 2003. "Anyway..." más alegre, con percusiones que salen quién sabe de qué artefactos, la única que no es de Barnes, tiene un tinte distinto a los anteriores tracks, sin embargo, no deja de ser Barnes y de ser un atractivo track. "Burning Leaves" regresa el disco a la "normalidad" con un suave y largo susurro, dando lugar a los vientos (whistles provenientes de flautas) en "Peaceful Protest" que comienza a crecer con los panderos y coros, tirando más a un neo-country (quizá sin serlo). Regresan los arpegios de guitarra acústica con "Ambition Is Poisonous" en el mismo tono que las anteriores canciones, con todo y su sonido ambiental y diálogos en off, quizá requiriendo un cambio en el tono, que no llega con una "Unhappy" que sin embargo te pone al tanto de la letra. "Matthew" es otro himno al compás del piano y "arreglos de cuerda" al fondo. Sigue sin salirse de tono, sin embargo es de esos tracks que logran atraparte. Lo mismo se puede decir de "A Ceiling ..." que también se llena de sencillos sonidos de piano, pero resaltando sobre todo a la guitarra. El disco cierra excelentemente con el arrullo final de "The Omega Man...", quizá más lento, pero con otra tonalidad, un bonito track para finalizar.